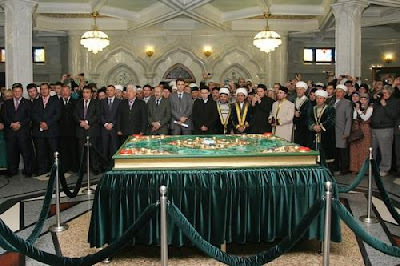 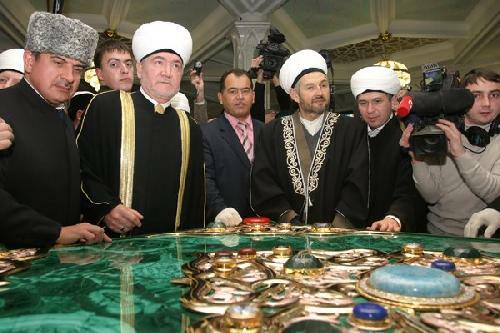 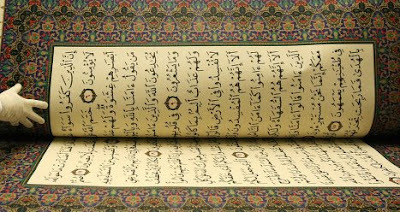 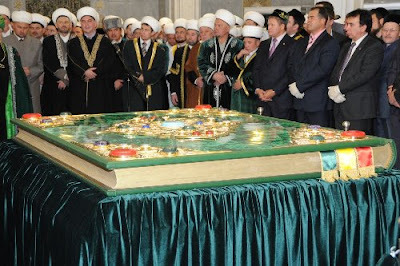 The world’s biggest Quran was presented in Kazan, the capital of the Russian republic of Tatarstan. The Quran arrived from Italy where best jewel makers worked for a year. 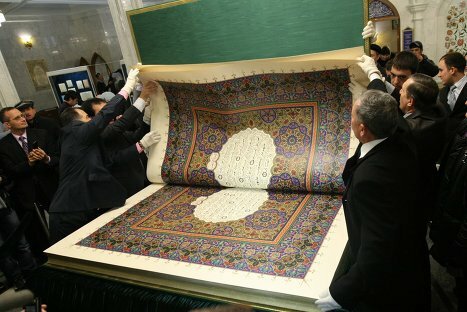 This is one of the world’s biggest Quran. 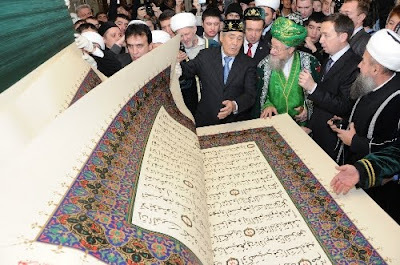 The size of the Quran is – 1.5 m by 2 m, and 3 m by 2 m if unfolded. 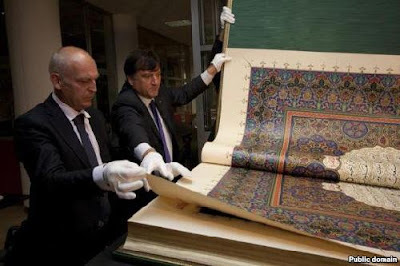 It weighs 800 kg. 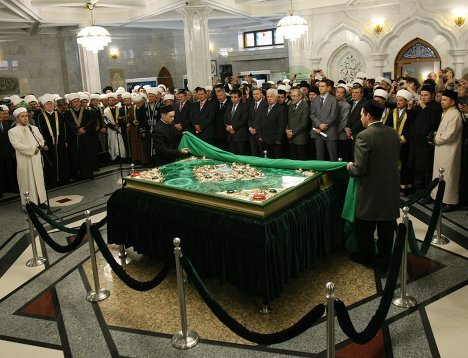 The 120-kg frame cover is tinseled with gold and silver and adorned with malachite, jasper and phianites. The 162 pages were embossed on gold leafs at the Moscow Mint.